Having a family doesn't mean you can't enjoy hitting the road. There was a time when starting a family meant having to sell the cool car and buy a station wagon, or at least a roomy 4-door sedan, instead. 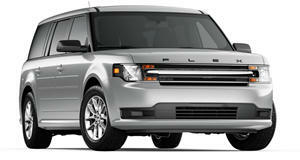 Then along came the growth of the SUV as a valid option that could also be fun. Since the turn of the century though, horsepower and handling have advanced to the point SUVs can be fun on the back road and wagons can be taken to a track day and not be embarrassed. The only form of passenger vehicle that hasn't been caught up in the horsepower wars yet is the humble minivan, but current models have reached a level of refinement that they could be used for a limo service. So, what should a car enthusiast be checking out for a new or growing family? We've picked out 12 vehicles that can scratch an enthusiasts itch in one way or another, and one that shouldn't be overlooked when it comes to figuring out what would work best for the family. If a car company is going to give a car a name that long, then it had better be something special, otherwise people are going to get tired of typing it. 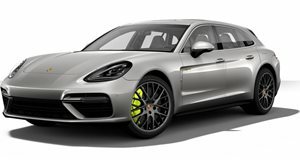 Fortunately, the Porsche Panamera Turbo S E-Hybrid Sport Turismo is special. In the most simplistic of terms, it’s a slammed and tuned wagon for grown-ups. 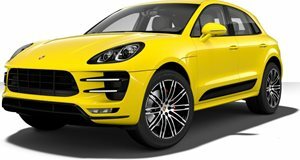 Look closer though, and Porsche isn’t using hybrid technology for fuel economy and, instead, the electric motors are there to aid the already brutal twin-turbocharged 4.0-liter V8 to take it from 550 horsepower to a combined 680 horsepower. It’s the car that will guarantee the kids are never late for Saturday morning soccer practice. 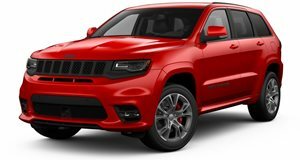 The beauty of the Grand Cherokee Trackhawk is that it’ll fit right in with all the other parents' SUVs in the school parking lot. But, once you’ve dropped the kids off you can slip on over to the drag strip and torment other racers with a stock engine making 707 horsepower in an SUV. This is one that will impress your partner with how much you’ve grown with your new responsibilities. However, find a Flex with the twin-turbo Ecoboost V6 with 365 horsepower and, mixed with AWD for takeoff, and you'll have yourself a legitimate sleeper. You’ll also be planning to unlock some extra power with a tune later down the road. If you have to keep things sober, then a 4-door sedan is just the ticket. 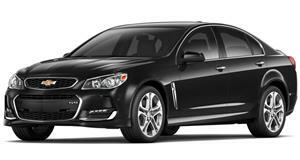 You can’t buy the Chevrolet SS new anymore, but if you can find one used then you have something to drop the kids off at a friend's house with then take your partner to dinner in, and an LS3 V8 to pass just about anyone on the way. What if we told you that you can have a great all-electric powered family car that was also fast and fun to drive without being bogged down in the Tesla bubble? 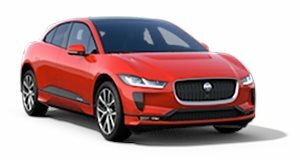 The I-Pace design is from the hand of legendary designer Ian Callum, who directed design at both Jaguar and Aston Martin for the DB9 and Vantage respectively, and more recently, the Jaguar F-Type. He got a clean slate to start from with the I-Pace, which meant being able to balance the car for both handling and useable space while making it look exactly how he wanted. 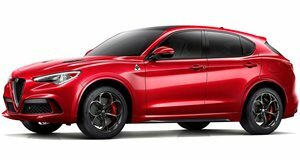 Buying an Alfa Romeo as a family car is a bold choice as the Italian company is not famed for reliability. What the Stelvio Quadrifoglio does do well though is getting savage on the back roads. Just don’t forget the kids are in the back and chuck them around too much. If you’re going for a crossover and it has to have a Porsche badge on the front, then the middle of the range GTS is everything you need. It might be on the Volkswagen Group’s modular MLB platform, but Porsche has changed everything. The engine is all Porsche and, just as importantly, so is the PDK transmission. Just be prepared to either sell it later on if the kids get tall unless you're prepared to deal with their complaints about headroom as they grow. 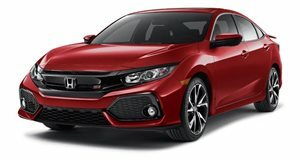 The beauty of the performance Civics is that even the ballistically quick Type R sacrifices little of the practicality or reliability of the Civic. Prices are still being gauged by the dealers though, and if a Type R is out of your price range or too high-strung, then the Si is a more humble car but still a deeply satisfying car to wring out on the long way home. If you’re going to take the larger family life seriously, then there’s no arguing with the fact that a minivan is the best tool for the job. It may be anathema to a car enthusiast, but a vehicle that does what it's designed to do this well is always worth considering. This could just have easily been the Honda Odyssey as that and the Pacifica are both at the top of their class and loaded with tech aimed at the family for short and long trips. 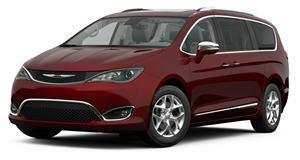 The ease of use, comfort, and convenience are why anyone that drives a minivan wouldn’t have anything else. When you’re herding multiple kids and on a tight schedule, then horsepower, torque, and the 0-60 mph time mean nothing. If you just can’t do the minivan thing, then a crossover is the way forward, particularly if your kids are fresh from the womb and you don’t want to do all that bending over and banging your head trying to strap them in the back. 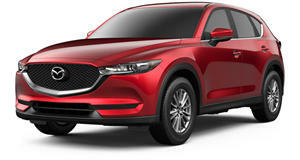 Mazda likes to make sure the chassis in all its cars suit the enthusiast, and the CX-5 is no exception. Affordable, fun, and the perfect size for a small family. 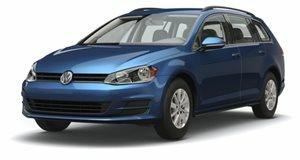 VW’s website claims the Golf SportWagen TSI combines the versatility and cargo space of an SUV with the maneuverability and sleek style of a car, and that’s pretty much what it does. You’ll want the lively 1.8-liter turbo engine with all-wheel-drive and the six-speed manual for maximum fun when all the practical family driving is done for the day. 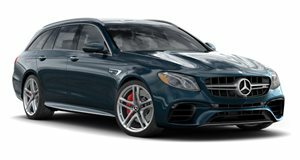 Of course, if you have the money and need more room you’ll want the 603-horsepower V8 and all-wheel-drive AMG powered wagon that we are legally and morally obliged to put on this list. The E63 S Wagon nails 0-60 mph in 3.4 seconds and has enough room to pack up the kids and the luggage to head cross country for the weekend. It’s one of the coolest American cars out there right now, but it’s arguable whether it's worth the money they are going for used and that’s the only way you’ll find one. And, good luck finding one with a manual transmission that isn’t sold the same day. But if you only need a four-door sedan, then the 640 horsepower 6.2-liter V8 CTS-V will see out the 2019 model year and they’re not ridiculous money to pick up used.